There is no mistake about it – the Lion’s Gate energies this year have taken us into a whole new dimensional self. That is the purpose of this Star Gate in 2013. Challenges are resulting within all aspects of a Lightworker’s four-body system to bring forth the alignment of our Divine Self. August 8th we will be entering the Apex of the Lion’s Gate. If you think that you are feeling the energies now, it will climax within each of us for a 24-hour period. Then it will be downgraded into our physicality by grounding it fully into GAIA. The Lion’s Gate started on July 29th, 2013 and has been continuing until August 12th. This year has been called the “Year of Synchronization”. This is exactly what is occurring within the Planetary, Solar, and Galactic grids – to allow all frequencies to be aligned within the core of our Beings. As we move forward towards the 5th dimensional reality, these activations are going to push us further ahead so that we can assist many more individuals. The more work that you have done internally, the more work there is to be done. 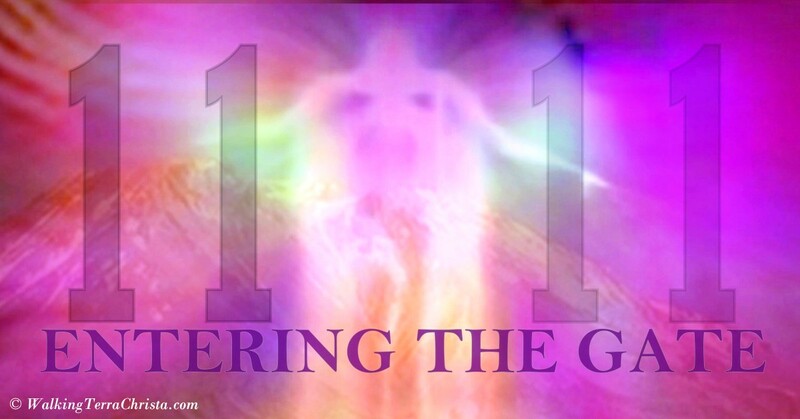 We are receiving the frequency of the Rays of God (all 12 of them) through this star gate for the Christed Beings to become fully manifested to assist GAIA and all of her inhabitants. To learn more about this frequency, please see our blog on the Lion’s Gate, http://walkingterrachrista.com/activations/lions-gate-a-doorway-opportunity-july-26th-august-12th-2013/. Wherever you may be on the pathway of Mastery, please know that this star gate is going to assist us to go deeper than we ever thought was possible at this time. It is a wondrous time to become our multi-dimensional self embodied with whom we are presently. If we, at Walking Terra Christa, can help you in any way, please contact us. It is our pleasure to connect with each of you once again. It has been awhile since we have been asked to speak, so thank you Meleriessee. We are the Commanders of the Unified Whole of the Great Divine Director, Master Thoth, and Master Einstein at your service speaking for the entire Creative Source of Oneness of Ascended Beings of Light. Yes, we are stepping into the world of the unknown with the Apex of the Lion’s Gate on August 8th, 2013; we know that many of you are already experiencing the energies in your time zone. We call this apex the Point of No Return in which the energies take everyone into the aspects of NO TIME creating the Timelessness effect. This means that during this influctuation of energies there is no Present, no Past, and no Future. It is about being in the moment of silence when nothing exists except the Creation of the Light. There are no thoughts or emotions that stand in the way of your acceleration as the frequency of the Star Gate moves into its highest frequency. Each of you have been preparing for this event in the last week so that you can be fully ready to accept all that you can from your Higher Self to truly understand from your Higher Mind into your physical self of what you are creating in this moment of Rebirth. All of your struggles in the past week and months are bringing you to this point of awareness so that you can fully allow the Higher Mind to work within the physical self. It is like aligning yourself with your essence in the deepest meditation that you have ever experienced but yet, you will be fully awake. Each person will experience it differently depending upon their awareness, the inner work they have done, their ascension process, and how far they want to go within their pathway. But every human being upon the planet is feeling these energies even if they are not consciously aware of it. 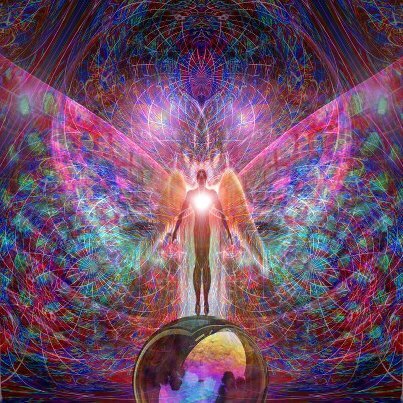 Those that are highly seasoned upon this pathway of several years are the cornerstone of allowing the light frequencies to be inter-meshed within their world in order to hold it for others. If you are one of these individuals, please know that your challenges do not go unnoticed as you are expanding your light within your body so that others can receive. The 8th of August is a day to allow the expansion to run out of your physical bodies. Many of you have been challenged in weak spots within your physical existence. The energy has been settling within those areas. It is now time for it to be released as it merges within the rest of body as the Etheric body is become more involved within the physical. So timelines are being readjusted, removed, and accessed to allow the physical body to remember. It is a time of great awakening and the more that you accept surrender into these areas, the better the process will be for each of you. Individuals that are not as highly aware of what they are dealing with energetically or within their physical structure will need to receive compassion and love from the others. They are really hurting deeply as their work has not been as deeply ingrained within their lives. It is a time of complete renewal so this activation of the Lion’s Gate is roaring through everyone’s essence to command to be more than they ever thought they could be. The power of these energies is beyond our comprehension as it is different for each individual soul and how deeply they want to accelerate their pathway. Lives will change at this time; it cannot be helped. Even the ones that do not understand will be in a constant state of healing. So now how do you accept the energies and how can you best heal yourself through the process? As your Higher Self is commanding more time within your consciousness, this is the exact moment to fully reflect all that you have been experiencing. Take moments in silence to fully reflect. Be in a walking meditation, go outside, connect with nature, and GAIA. Be at peace during this time, as in the Timelessness, there is nothing to reflect upon except BEING WITHIN YOURSELF. Take this opportunity to fully accept your divinity of your multi-dimensional self to come into existence within your world. This time is an opportunity to experience the 5th dimensional world as you sit in your 3rd and 4th dimensional existence. It is a doorway to exist in a completely different manner than you have ever experienced. You have been challenged greatly through the changes so take moments within your day to feel the reflection of your Higher Self and I AM Presence to be fully integrated within you. Some may find that gifts are going to be more powerful on this day; the dreamstate can be miraculous as the changes intertwine within you. It is a beautiful day to celebrate Oneness within the Self. After the 8th of August, it will be time to balance what you experienced. Allow it to be part of your world; otherwise, it could be lost. So it is up to each individual soul to understand the process that is occurring for them. This is a test of the Higher Mind to be fully active within all of your consciousness of the Super, the Sub, and the Conscious as you are integrating these essences within you. The highly trained individuals will be able to effect great changes within their lives and then the teachings will come. Others, that are newly awakened or not working within the mastery pathway as deeply will find that the changes that they receive will help them but there are still going to be great challenges. This goes for everyone as the layers are being peeled away of the many lifetimes that each soul has endured. Again, it depends upon your willing to go deeper within yourself to receive the Core of Your Being to be manifested within you. We greatly embrace each of you at this time of awakening upon GAIA. It is a wondrous time filled with great joys. We know that some of your experiences have been interlaced with great challenge, but know that these elements occur to only make you better and remove to old timelines in which you were not successful. Be the Lion and roar through this gateway of Love, Will, and Power to fully embrace the Christed Being that you are. We are being honored with the energies of the Great Divine Director in the Clarion Temple of Oneness on Monday, June 17th, 2013. He will be sharing energies about the unification of Light within the planet since the Wesak Full Moon in May 2013. The Great Divine Director is the Manu of the Seventh Root Race, a member of the Karmic Board, and very recently on the command post of the Unified Whole with Master Thoth and Master Albert Einstein. He was the teacher of Lord Maitreya, the Maha Chohan-Allah Gobi, Saint Germain and Master Kuthumi. He also assisted Master Lady Nada with her ascension 2,700 years ago. He has assisted many lifestreams in their pathway of ascension and continues to do so this day. He oversees many activities of the Spiritual Hierarchy and especially the pathway of Oneness of the Unified Whole. The power of his light is amazing but his love and guidance is even more miraculous. We are deeply honored to share his essence within the Clarion Temple of Oneness. Blessings fellow initiates; it is my pleasure to speak in this moment. And what a beautiful moment it is as the world is changing into more joy and acceptance than we ever thought possible. The Light of the Christed energies are enfolding within each of you so brilliantly and we are happy to be able to assist you even further. I must share with you that our time is just beginning; and we so look forward to the moment when we all look at you through our physical eyes and share our essences within one another. I have seen great changes occurring within the earth and there are many more to come. We must find a way so as individuals can realize the potential that lies within themselves and not the old remnants of the soul’s history that gets in the way of a magnificent experience. We are at a very powerful time within the six-month period of 2013. Changes have occurred around the world and will continue to do so. As each of you grow deeper within yourself, you will find the courage and stamina to expand those energies outside of yourself to help the newly awakened individuals to understand more about themselves. My role presently is quite different than it has been previously. I am still on the Karmic Board but individuals that choose to raise their vibrations out of the third dimensional thought forms can fully accept their higher essence and the karmic pathway can be almost erased of what it was before. Oh, souls like yourself always want to know why something happened a certain way and what they did whether it was a positive or less-than desirable experience. That is not always the case and now that the Unified Whole has been fully accessed, we can put these elements into wholeness so that they do not hold down your emotions or thoughts. That way of living is moving out of existence. But it is up to each individual and how deeply they can access their higher self on a continual basis. At first, this can be difficult but learn to access the higher vibrational essence will be the direct result of all karma being removed and released through the Unified Whole. Within this wholeness, we cannot be the parts that we were previously as they do not fit the entire spectrum of understanding. When an individual accepts this as the true essence, that is when they will let go of the old aspects that are not fitting their present consciousness. You see, your higher consciousness is catching up to the physical consciousness and it takes time for this to occur. Without accessing your Higher Knowledge, it cannot be done. Just asking for it to be is not the answer or thinking that all your work is done in your dream state. It has to enfold within the physical part of your existence so that you can meld them together to become the enlightened being that you desire. Presently these tasks at hand are much easier to handle and you have the availability to create the changes necessary within you. The energies are higher but that can also be a detriment to some individuals if they are not ready to accept the higher consciousness within the physical body. This is why you have what you call “Ascension Symptoms”. The physical body is trying to accept the higher knowledge and molecules of light but when the lower ego is intact, it cannot happen. There becomes a battle within all aspects of the four-body system to see which one is going to win. Surrender, my dear ones; it is the only way that you can get through this process of learning to De-Ascend into your physical body. This means changes will result but the desired outcome will arrive much sooner than you think. The physical mind wants the control but yet the higher mind just wants to integrate and not take over as the lower mind thinks. I know it sounds easy, right? No, it is just the opposite and each of us understands that in order to be in Oneness all old molds must be broken to accept the new design of the Self that is about to be integrated. But, you are all doing this in your own way. Tools of the Light are essential to assist in this process and downgrading the information from your Higher Self each day when you awake either from your sleep time or meditative state. It is all trying to integrate within you so time to sleep, relax, and rejuvenate is absolutely necessary. It is a continual process and allowing the state of Oneness to be within you first must happen before it can be accepted within Gaia and her existence. This is why there is so much strife and change happening in all parts of the world. The ones that rise up to the occasion and understand that there is a higher meaning and purpose to what is happening will see great changes occur. It is important to realize that your Higher Self and I AM Presence is protecting you at all times as long as you connect with them. In fact, it is the only way to arise to the occasion of the changes that are occurring. We stand in the middle of this year and see many arriving into a state of conditioning that is beyond their wildest dreams. Love is abounding but until you allow it to happen internally and surrender to the process instead of trying to fight it, then you will not experience it fully. As you do, that will expand out of you and you will see the mirrors of light shining brightly around you. Each breath that you take of the NEW YOU will go through the ethers of the lands to assist others to do the same. 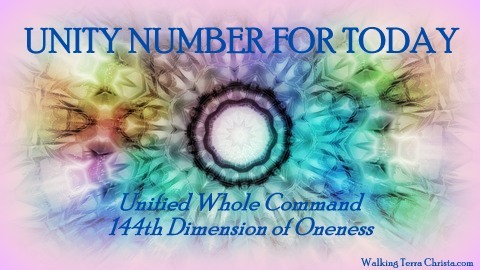 This is true ONENESS and you will see it occurring in your lives. We are at the very beginning of a transitional planet and thank you for standing tall amongst the ones that are true to the Light. I AM the Great Divine Director at your service. The Great Divine Director will speak through Rev. Christine Meleriessee in the Clarion Temple of Oneness on Monday, June 17th, 2013, 5 PM Pacific, 12 GMT. You may join this call by registering at Walking Terra Christa, http://walkingterrachrista.com/tele-calls/. Since the beginning of my pathway there have been many new discoveries that I have encountered. I always took the high road to my spiritual growth and attainment. It is with this understanding that I share how this has affected my life and the world that I inhabit as it molds who I Am. 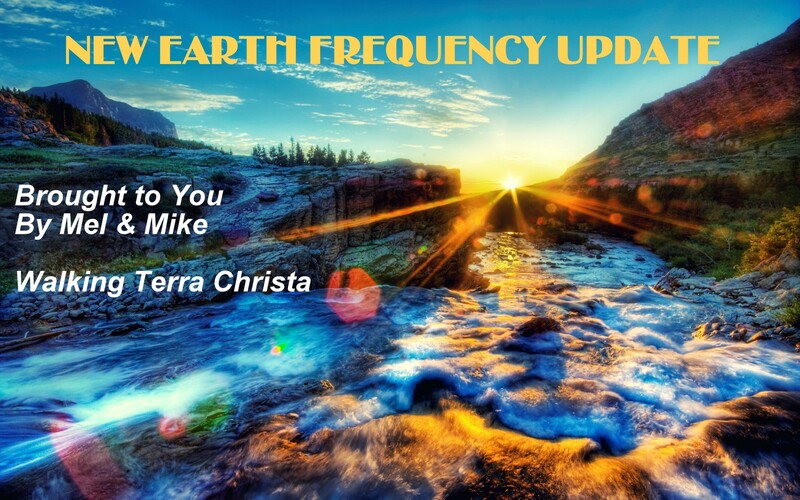 First I want to say, that since the onset of the Unified Whole Command writing the Frequency Updates, it seems that myself with Mike Hayden of Walking Terra Christa have become the messenger of Oneness for these amazing Beings of Light. I was introduced to a man called, IAM, that was the messenger for the Unified Whole. I am eternally grateful for the day that I met IAM, a young man that would change the way in which I communicated energies to others. IAM was very special and he shared to us about the Unified Whole Command which was overseen by Master Thoth and in which all masters that wanted to release their pantheons of the past and join the track of Oneness would be invited to join. He also asked me as Meleriessee to be an additional messenger of the Unified Whole Command as there were no others that could tap into this frequency. I, of course, accepted my role and Mike and I were inducted as Earth Members into this amazing group consciousness. Unfortunately, IAM is no longer living on this earth. His world of accessing many dimensions at the same time left him with an ungrounded state of being. His was newly awakened and very powerful with his gifts but did not know how to take care of his baggage of this lifetime. That is why this work is so important for us to share; to help the ones that come in as Starseeds and do not understand how the ways of the mastery works upon Gaia. I believe there are many that are going to be needing guidance in how to allow their energies be grounded within the physical world as we are within such a strong transitionary phase. My meeting with IAM took place in October of 2011 shortly after arriving in Mt. Shasta. It was also the time when Mike Hayden and I myself would partner together to create Walking Terra Christa. 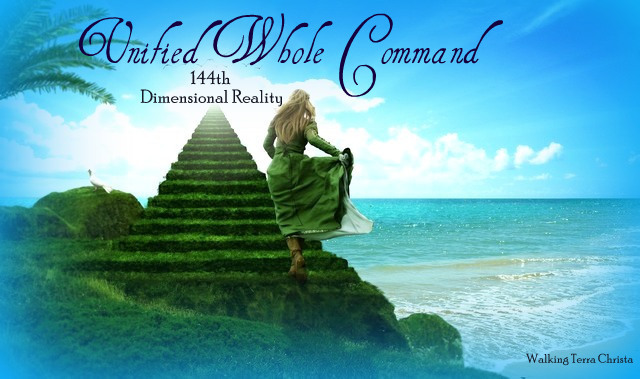 The Unified Whole Command is our guidepost of information of light entering the planet as it represents the Spiritual Hierarchy, Intergalactic, Inner Earth, Angelic Hosts, Divine Mother and Father God, and all God Force activities working within the Christ Consciousness. We realized that work with less than this frequency would put us in harms way of the many lower energies that want to stop GAIA from ascending and each of us living within her consciousness. They have helped us tremendously to understand what Oneness represents in the physical context and not just in our thoughts, emotions, and actions. We have learned how to integrate the highest levels of vibration within a physical body and in our environment. Any less than that would take us back into the world of duality both personally and professionally. This is why we are living in Mt. Shasta, California as it is considered one of the most powerful spots in the World. I traveled here extensively doing ceremonies for many years, and it would mold the opportunity for me to relocate when it was synchronous for all elements to come into place. Lord Adama, the High Priest of Telos and Saint Germain orchestrated the plans for me to arrive and for Mike to do the same unbeknownst to both of us what was occurring. Then IAM came into the picture to widen the horizon. We stepped into a world that only a few would understand. We did not even realize the depth of our work together and the pathways that our Higher Self’s had chosen for us. But in time we would learn, and this we have done. We were asked to not interact with others within Mt. Shasta as there were many different energies and we were being guided by the Team of Light headed by Lord Adama within the Unified Whole Command to be the best we could be. Lord Adama said we were under “quarantine”. We were told to create ceremonies, go through initiations with each of the Lord and Lady Masters to assist us to become the Best We Could Be. It was challenging and continues to be so. I would not have chosen it any other way. In fact, upon my arrival I had no idea why I chose to be here except I wanted to be closer to the Telosians living in the mountain and New Jersey did not hold a frequency I could handle. I was literally dying in New Jersey by accelerating my light quotient and not wanting to exist physically. It was time to make a change. Having Mike arrived helped me to be grounded, and I was to lower my light quotient in order for us to be together until he could accelerate himself. This he has done in a way that Lord Adama shared “No one has done it in quite the same way”. We work with the teachings of Joshua David Stone and I am ordained under his organization since 2003. In fact, we communicated quite often as he became my mentor for this work. I also volunteered for his Wesak Events here in Mt. Shasta for a few years. 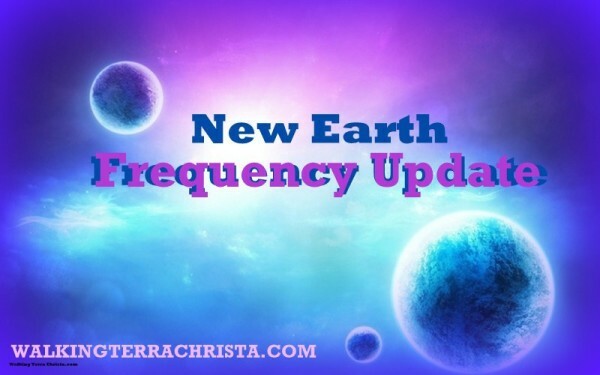 So when the Unified Whole Command asked me to write a frequency update for the New Earth changes I felt it was important to do so. All the work that we have done in the past 18 months molds who we are today and what we share. It is powerful work and we live it consistently. Living in Mt. Shasta can be difficult on its own due to its powerful magic but compounded with the level of dimensional work we do, it is like none-other. Through the process of the messages I found that they needed to share the truth of Oneness from their perspective. We adhere to this truth as we are their messenger of Light unto this Earth. We know that not everyone will understand the message or the underlying tones associated with it. I was one of those individuals a few years ago that was sure that this Earth would split into the New Earth just as the Sirians experienced with Planets A and B. I learned after arriving that it was changing and it would not occur in that manner due to the lightworkers upon the planet. It was at this time that I realized personally that the work I have done and preparing for this pathway has been arduous but so rewarding. I cannot tell you what I had to go through to be in this stage of my life. I experienced many levels of duality, loss of jobs, loss of housing, living where I did not want to live, traveling and experiencing heights of awareness that were being offered to me, two major death experiences that would reshape my existence, and several healing modalities, sweat lodges (12 in one year) to just be able to sustain myself upon this earth, along with a full physical integration of the essence of Divine Mother and Father God known as the Cosmic Great Central Sun. The one pathway that saved my life were the Ascension Teachings brought forth by Dr. Stone. I learned to breathe, exist, and be on the pathway of mastery while learning how to grasp the magic and beautiful gifts that were shown to me. We, at Walking Terra Christa, are taking the lineage of those ascended teachings as our structure but then arising to the ability to utilize the higher vibrational levels in achieving the goals of mastery upon this earth. We work on many levels to assist individuals to follow the same pathway and we know that this is not for everyone. It is the HARDEST PATHWAY that one can choose and not every one is ready to do so. I have been teaching ascension classes and groups for over a decade before I arrived here and saw many individuals come and go out of my living room. But they left changed because of this work as it gets right to the core of God and our essence. So now with the Unified Whole we merge into a completely new reality. One that was based on the other but does not hold the old timelines of the teachings. They become more purified in the message with a sense of deep truth. This truth comes from the consciousness; I am only able to give these messages because of my pathway to arrive in this state of conditioning. Without all the challenges that I endured, I would not be here today sharing and writing my personal essence. So I hold reverence to the Unified Whole and allow their message to be as pure as God’s Light is to each of us. I do not hold back the message although at times I feel it is harsh. Master Thoth the overlighting energy with the Great Divine Director shared with me this morning that I must speak my truth just as they do. So that is the reason for this writing. I flow with the energies and allow them to speak from their Truth which is the Truth of Oneness. We need guidance in how to get through these accelerations and we don’t need to be told it is going to get better at this moon or cycle. We need to understand what is behind the frequency of light upon Gaia so we can be prepared. It takes a lot of work, study, and introspection to acquire mastery, but it is necessary for the 5th dimensional world. We are experiencing the 5D energies etherically as they filter from the Etheric Earth as that dimension is very real. But we are still within the duality and it is up to us in how we experience it. Mt. Shasta is full of many types of people and represent all life forms living right here. We have learned how to interact, how to protect ourselves, living in magic and sometimes bad magic touches your doorway of light. You then learn how to stand up to it without aggression, but with living in a higher vibrational state. Lord Adama and the Telosoian Council of Light have taught us how to do this. But we are still living with the duality so we must learn how to change it by being better, more than we ever thought we could be, and accepting our role as an initiate or Ascended Master upon this earth. This is the only way that we are going to move from the 4th dimension into the 5th. And sometimes, we have to Fake It Until We Make It. So that is what Oneness Consciousness is about ~ learning the rules of being in mastery, walking in love, but actually feeling it deeply through all parts of our physical, emotional, mental, and spiritual bodies as One Body of Light. So the messages from the Unified Whole Command will come with all of these elements in one package. They are showing us how to live without duality but being honest about the transitionary phase which is shown each week. I strive to give only the highest and the best information from the higher frequencies into our reality. I needed to share this background information as it helped me to understand it along with others that are reading the weekly posts. It is a beautiful time on this earth as we work hand-in-hand with GAIA to meet Terra Christa. Thank you for supporting Walking Terra Christa and myself as the messenger of the Unified Whole Command.